It is impossible to reproduce the state of mind of the men who waged war in 1917 and 1918, Edward Coffman wrote in The War to End All Wars. In Doughboys on the Great War the voices of thousands of servicemen say otherwise. The majority of soldiers from the American Expeditionary Forces returned from Europe in 1919. Where many were simply asked for basic data, veterans from four states—Utah, Minnesota, Connecticut, and Virginia—were given questionnaires soliciting additional information and remarks. Drawing on these questionnaires, completed while memories were still fresh, this book presents a chorus of soldiers’ voices speaking directly of the expectations, motivations, and experiences as infantrymen on the Western Front in World War I. What was it like to kill or maim German soldiers? To see friends killed or maimed by the enemy? To return home after experiencing such violence? Again and again, soldiers wrestle with questions like these, putting into words what only they can tell. They also reflect on why they volunteered, why they fought, what their training was, and how ill-prepared they were for what they found overseas. 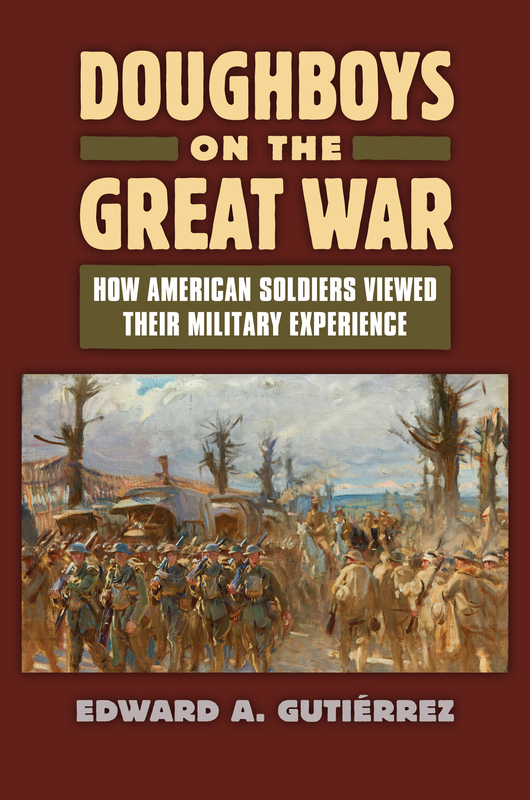 They describe how they interacted with the civilian populations in England and France, how they saw the rewards and frustrations of occupation duty when they desperately wanted to go home, and—perhaps most significantly—what it all added up to in the end. Together their responses create a vivid and nuanced group portrait of the soldiers who fought with the American Expeditionary Forces on the battlefields of Aisne-Marne, Argonne Forest, Belleau Wood, Chateau-Thierry, the Marne, Metz, Meuse-Argonne, St. Mihiel, Sedan, and Verdun during the First World War. The picture that emerges is often at odds with the popular notion of the disillusioned doughboy. Though hardened and harrowed by combat, the veteran heard here is for the most part proud of his service, service undertaken for duty, honor, and country. In short, a hundred years later, the doughboy once more speaks in his own true voice. Edward A. Gutiérrez received his PhD from Ohio State University and is a lecturer at the University of Hartford in West Hartford, Connecticut. The recipient of a Harry Frank Guggenheim research grant, his work has appeared in A Concise Companion to the Meuse-Argonne; Russia at War: From the Mongol Conquest to Afghanistan, Chechnya, and Beyond; and Germany at War: 400 Years of Military History, among other volumes.